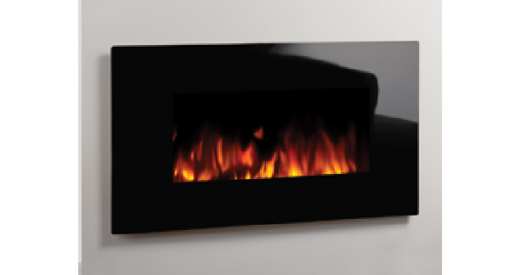 Sleek, chic and contemporary, the Gazco Studio Electric Glass wall mounted fire offers a distinctive focal point that will complement any stylish interior. The Studio Electric with Black Glass frame offers instant striking impact, whatever your room size. 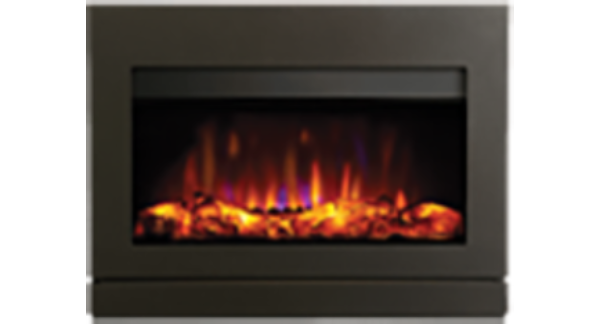 Easy to fit, this designer electric fire can simply be hung on the wall and its shallow depth means it will only protrude minimally into your room. 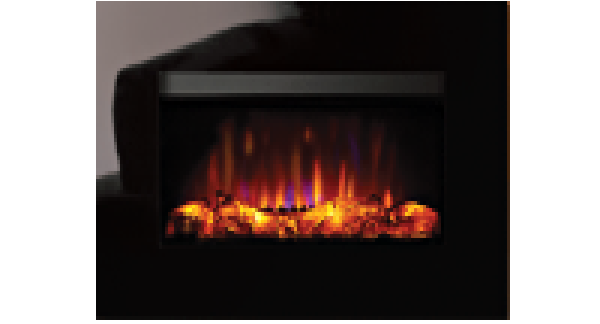 A stunning flame-effect with 4 levels of brightness is available at the touch of a button on your remote control. 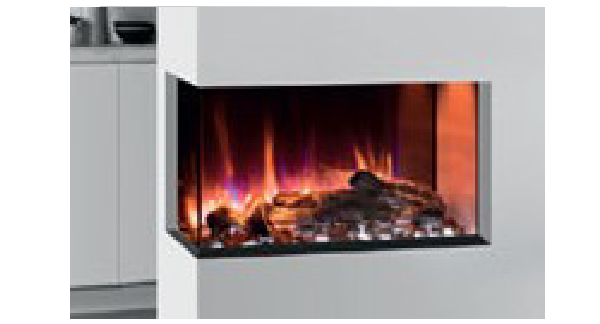 You can alter the heat output to suit your requirements, or you can even enjoy the stunning LED flame-effects with no heat at all!